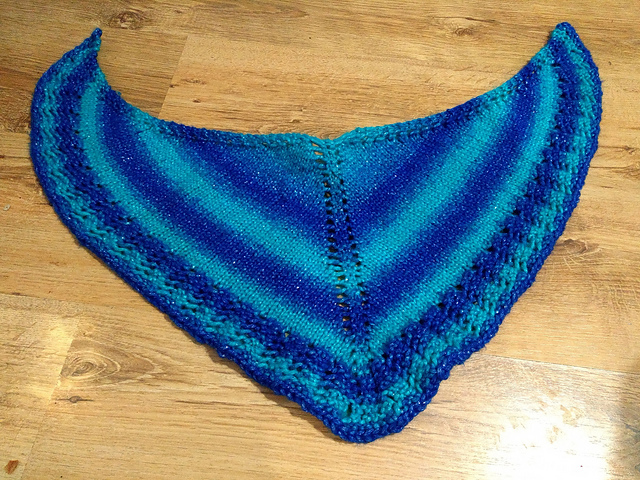 Home › Knitting › Big project 2 – finished at last! The second big project is done! Done! 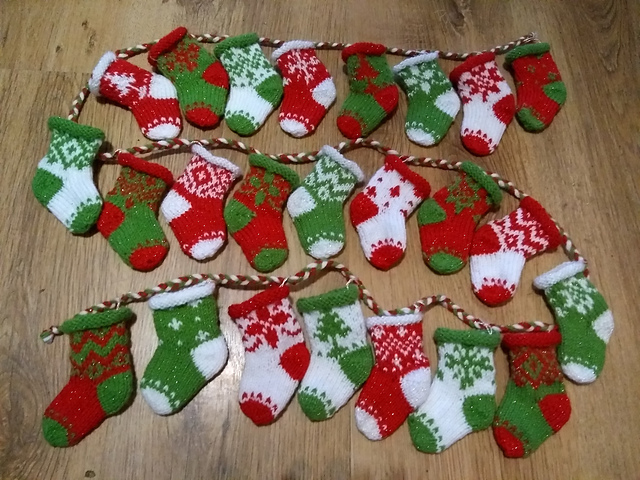 I made a little advent calendar using the free pattern Mini Christmas Stocking Ornaments by Julie Williams – there are eight designs so I did three of each to make the 24. The reason behind this? I knit a little string of stockings (several, actually) a few years ago to use as an advent calendar. This year, Felix, despite getting a Lego advent calendar, she decided that she wanted the little string of stockings I was using for myself (containing mint chocolate and fudge this year, yum!) So another string of advent stockings was needed for this coming Christmas, but I wanted to knit something a bit different to the other set, so I went for fair isle…maybe not such a good choice, but so cute! I also had time this week to work on a birthday present for MIL. Now that those two big projects are done with, I have a whole bunch of little ones mentally lined up in my head to do – though who knows if I’ll stick to doing those projects in that order! ‹ Big project 1 – finished at last!